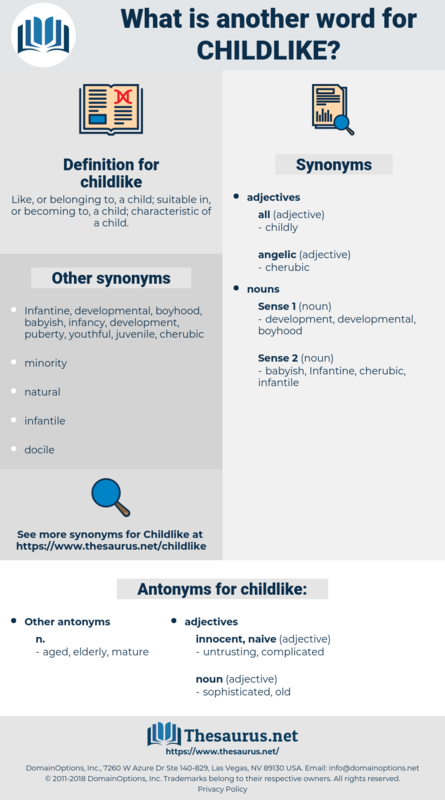 What is another word for childlike? 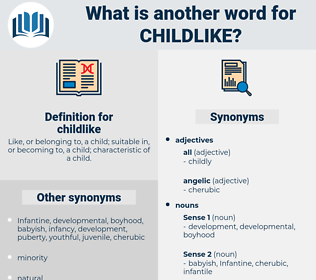 Like, or belonging to, a child; suitable in, or becoming to, a child; characteristic of a child. Annette returns his somewhat touching manifestation of remorse with a childlike smile. I thought, as I noted the sweet, childlike gravity of her face.